HANOI (5 Dec 2018) – The Philippines will be out to make sure that they are not just tourists for their grudge match against Vietnam in the return tie of the AFF Suzuki Cup semifinals tomorrow night at the My Dinh National Stadium. But they will be out against a mountain to climb considering that Vietnam hold a 2-1 advantage over the Philippines from the first leg in Panaad Park and Stadium a few days ago. 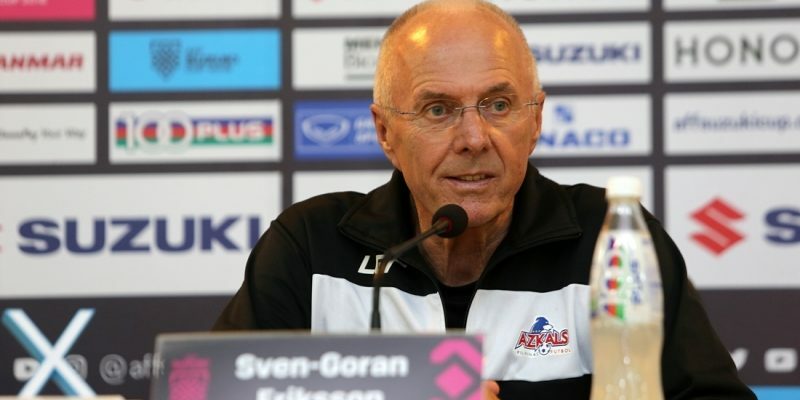 “It will be a tough game but we are not here to be tourists,” said Philippines head coach Sven Goran Eriksson. “We will try our very best to change the score line. There are some small issues we need to work on but I feel confident that we can do well here (in Hanoi). In the meantime, captain Phil Younghusband feels that the team is all fired up for the game. He said that the team knows they can do better and that they for the return tie, the Philippines will have to up their game. “We are looking to this game where we know that we are capable of playing better,” added Youngusband.